Follow Me.Solid Walls and a Door of Mercy - Follow Me. Reflections on the readings for the Third Sunday in Ordinary Time, Year C.
The entire Israelite community – the people of God – are gathered around Ezra as he opens up and explains the Book of the Law, which, along with the temple, is the heart of Israel’s relationship with the Lord. Likewise, people anxiously anticipate what Jesus will say when he sits down to preach in the synagogue (unlike priests at Mass, the Jewish rabbi would preach sitting down, a tradition preserved by the Bishop’s prerogative to preach from the chair, or cathedra). Instead of wallowing in misery and regret, the people are told they must be transformed and move forward in their renewed relationship with the Lord. They must rejoice in their new identity. Yes, the rules are there to hold them close to God and maintain their identity as his people, just as the physical walls were built to mark the boundaries of God’s city. But the rules lead to relationship, and the relationship leads to rejoicing. So what is this solid material with which Luke constructs his Gospel? What is it that should make the weeping Israelites rejoice and celebrate? What is at the center of our relationship with God, and our identity as His People? We know that the Book of the Law contained specific precepts for sacrifice and purity, and that it contained commands to treat the vulnerable – widows, orphans, and foreigners – with dignity. We also know that it contained a code of morality. As for the Church, we know that her catechesis contains a well-elucidated moral code and centuries of dogma. But at the center of it all is the person of Jesus Christ, in whom all Scripture is fulfilled. When Jesus reads from Isaiah, he stokes the expectation that the people had in their heart for a “year of jubilee,” in which the poor are given new hope, slaves are freed, and blind are given sight. Jesus proclaims liberation, hope, and ultimately mercy. It is his face which is at the center of our relationship with God. All of the rules and dogma point to him. All the walls and solid foundation are built around an encounter with Jesus, the face of the merciful FatherWithout him, they have no purpose. We know that people throughout the history of the Church have fallen into two basic errors in regards to the relationship between the teachings of the Church and the person of Christ. Some have tried to teach that Jesus can be encountered outside of all the dogma and rules – that you don’t need to be “religious” to have a relationship with Christ. All of these rules and relationships seem like the walls of a fortress or a maze, and so it’s best to ultimately go around them and encounter Christ on your own. Obviously, if this were the way that God intended things, Jesus would never have established the Church, or told the apostles, “He who hears you hears me” (Luke 10:16). Luke, our solid authority, knows that the encounter with Christ rests firmly on the pillars of the apostles and their teachings, preserved in the Church. The other error, which we often hear Pope Francis warning against, occurs when those who uphold moral and doctrinal orthodoxy fail to recognize that a personal encounter with Christ is the reason for the existence of every Church teaching. They are tempted to build a rigid fortress of doctrine and rules that is inhospitable for sinners. Theirs isn’t a Church of flesh and blood, but of ideas and solid stone. I have to admit that I usually only encounter this latter error on the internet, through certain websites whose sole existence seems to be to watch the hierarchy of the Church for heresy and rile up the few “true believers.” In person, most of those whom I know to be orthodox and traditional are also personable, and their love for the doctrines and teachings of the Church rests on their daily encounter with Christ in prayer. If they are tempted to become rigid and react to those outside the Church with bitterness, they tend to recognize it as a weakness. But it is also essential to recognize that, among the spiritual works of mercy, we find “instructing the ignorant” and “admonishing the sinner” alongside “bearing wrongs patiently” and “forgiving offenses willingly.” The latter two are definitely prerequisites for the former. If we are going to unbind others, we ourselves need to be unbound from spite and unforgiveness. We can’t untie the burden from others’ backs if we are still trudging along underneath the weight of old grudges. Nevertheless, clearly teaching what Christ himself teaches is an act of mercy and charity. How can people come to the true Christ if they don’t have a clear, solid representation of him? Like Ezrah and Luke, we are called to present him to the world not as we or the world would like Him to be, but as he truly is. His greatest attribute is mercy, and his deepest desire is to unburden us and transform us into a people who rejoices. Whatever your vocation (current or future), you are called to be a prophet and evangelist who leads people to an encounter with Jesus Christ. If we are easily blown with the wind and prone to the sin of “human respect,” then the world will look at us with patronizing contempt and we will become lukewarm, ineffective, and sad. 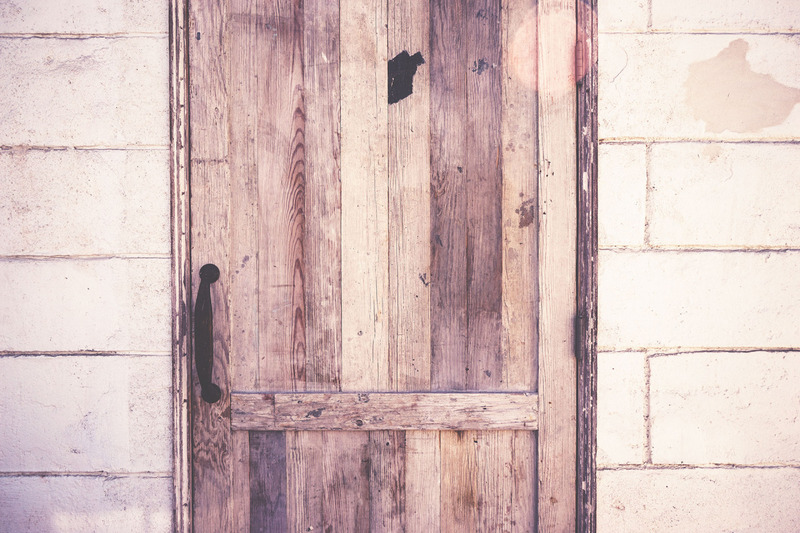 If we are overly rigid as a reaction to our own unhappiness with our sins or vulnerabilities, then the world will feel locked out and will turn away to more welcoming places (like Planned Parenthood). The women that I have spoken to in post-abortion healing ministry have said that what they most needed at the time of their crisis pregnancy was both clarity and welcome. None of them wish that the Church would have compromised its message and told them that abortion was a sin. Many of them were turned off by people shouting outside the abortion clinics and holding graphic signs with pictures of baby parts. 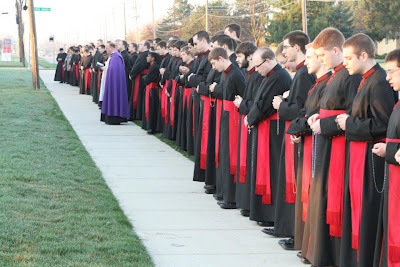 But all of them said that they deeply respect and appreciate those men and women who calmly stood there praying the rosary and pointing them to the nearest crisis pregnancy center, or those who, after their decision to abort their baby, welcomed them to Rachel’s Vineyard, Project Rachel, or Bethesda Healing Ministry. Do you know Jesus Christ to be the one who heals you and sets you free? Or in your quest for Christian perfection have you tried to take this project on your own shoulders, making yourself the sole defender of the rules of the Church? 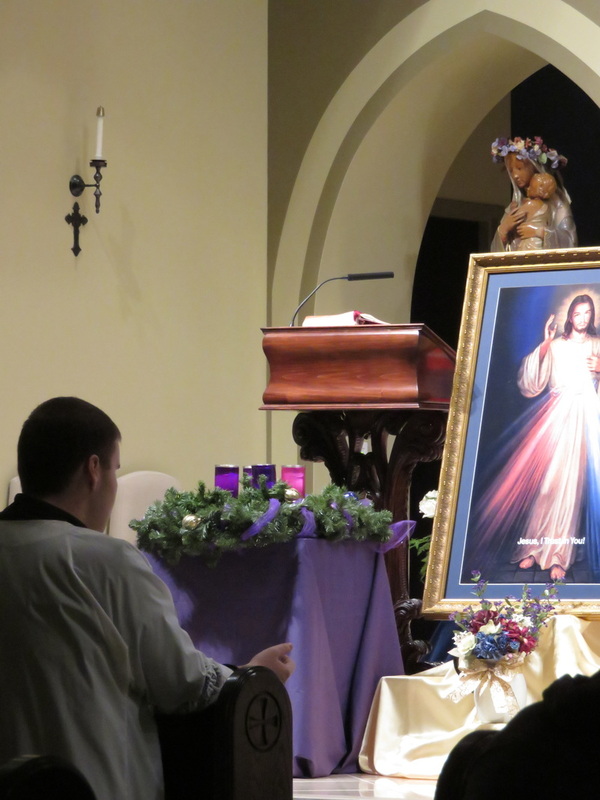 Turning toward Jesus, the face of the merciful Father, we recognize that he is continually unbinding us, continually welcoming us back to live in his healing gaze. And while this Jubliee Year of Mercy is still fresh, we should commit ourselves to very particular, practicable works of mercy, both spiritual and corporal. This will give us the solid foundation to boldly and clearly proclaim Jesus Christ, and draw others into his beautiful bride, the Church. People need walls that are firm and solid. But they also desire a door which is flexible and opens up in mercy to them, so they can walk through and enter into the Church, the Body of Christ.